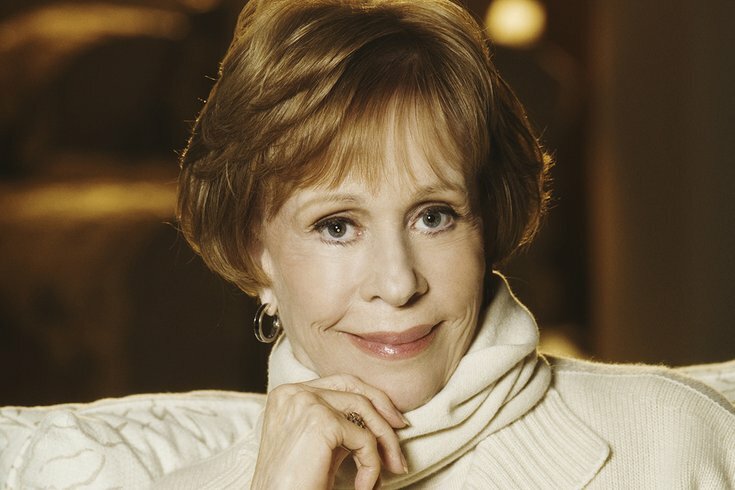 'Carol Burnett: An Evening of Laughter and Reflection Where the Audience Asks the Questions,' takes place Tuesday, April 11, at the Academy of Music. What comes to mind when you hear the name, Carol Burnett? "Mama’s Family"? That trademark tug on the ear? The charwoman? Or maybe it’s the hundreds of wigs, fat suits, blackened-out teeth, masks and costume makeup that made her the great television icon that she is today. Carol Burnett. No more words needed. The smile is already on your face. The five-time Golden Globe winner, 25-time Emmy winner and winner of many other awards and prizes of other kinds, Burnett, 83, is outstanding in her class as one of the silver screen’s most versatile stars. In 2007, TIME magazine named "The Carol Burnett Show" one of the "100 Best Television Shows of All Time." Over the course of its 11-year run, it averaged 30 million viewers per week, which earned it the title of one of the most honored shows in television history. She’s giving Philadelphians a treat when she appears in town, one night only, on April 11 for “An Evening of Laughter and Reflection Where the Audience Asks the Questions” at the Academy of Music. The show will feature clips from her television shows and will follow the same format as Q&As of this sort she’s done in the past. Audience members can ask her anything on the spot. And pretty much nothing is off the table. No planted questions. Just pure, genuine Carol Burnett and raw, uncensored Philadelphians. “I fly without a net. That’s just the way we did on our show,” she said during a recent interview. Asked if there were ever hope for another variety show on television like hers, Burnett was doubtful. At one time, during the 11 years of "The Carol Burnett Show," there were nine variety shows on the air. “They can’t do what we did today because of the cost. It would be just prohibited,” she said. Burnett rattled off a list of some of the funniest women in comedy today. Namely, she praised Amy Poehler, Tina Fey, Kristen Wiig, Maya Rudolph and Melissa McCarthy as some of her favorites. Burnett makes a point of avoiding politics in her routines. But she had to admit that "Saturday Night Live’s" mockery of President Donald Trump made her laugh. “I love it. My God, it’s just great. Alec, I have fun watching that,” she said. “It’s not funny,” she said dryly. There’s no doubt the Texas-born actress has had record-smashing success across several genres, including dramatic and comedic roles, on stage, film and television. What surprises her, these days, she said, is receiving fan mail from children as young as 8 years old. She chalks it up to the range of DVDs sold in recent years as well as her continued popularity on YouTube. “In my audiences, they range from 9 to 90,” she said. For more information on Burnett’s upcoming appearance at the Academy of Music, click here.